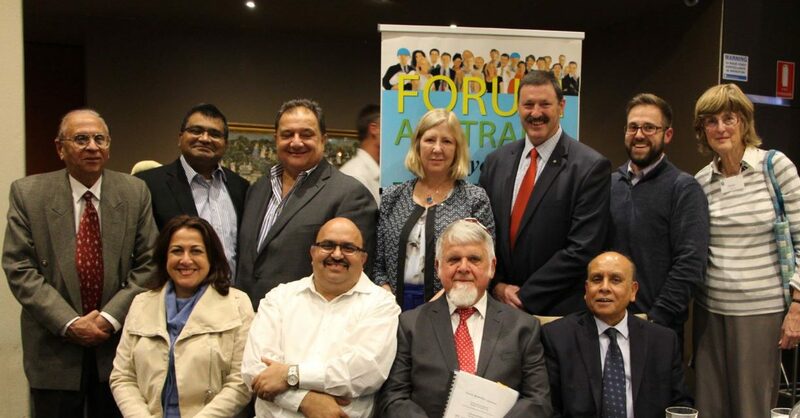 Caption: Speakers, organisers and attendees of the Islamophobia forum in Canberra. 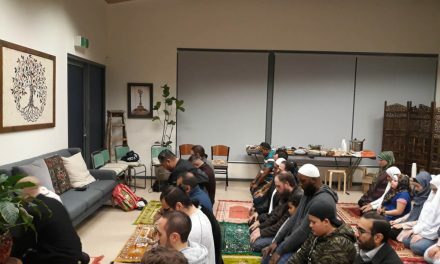 The Taj Agra restaurant in Dickson, ACT, was full to the brim as the well anticipated forum on Islamophobia commenced proceedings over dinner on Monday 16 April 2018. 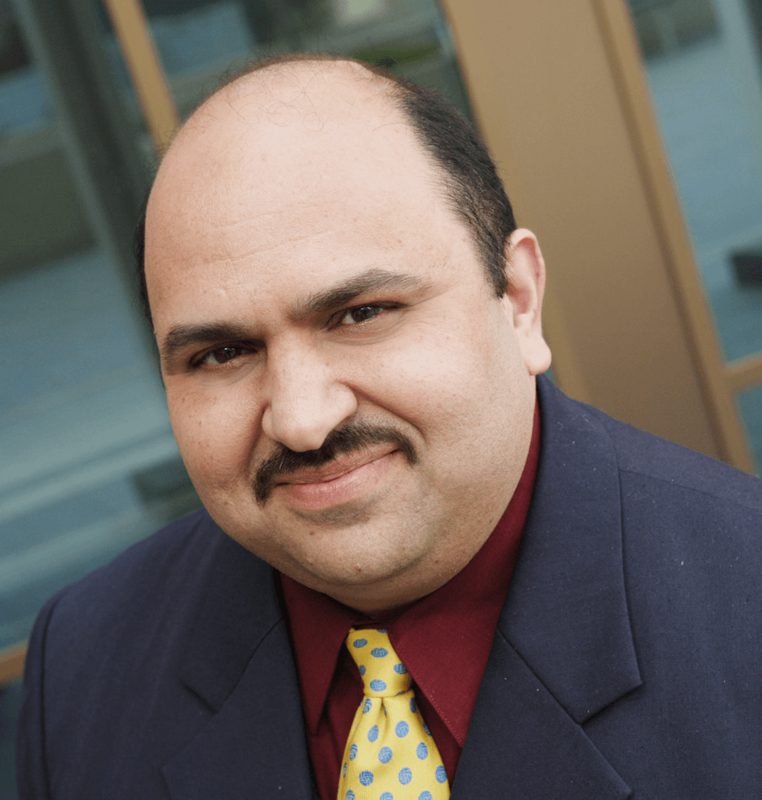 Titled Islamophobia: Myth or Reality, the event was booked out almost a week before the date and other potential guests were told that they could attend if there were cancellations. Welcoming the guests was Mohammed Ali, President of Forum Australia, the organiser of the event. The Master of Ceremonies was no other than Harry Oppermann, a well known figure in the multicultural and interfaith communities, who, throughout the night, included his own valuable experiences to enrich our knowledge on the subject. “One has to look at the role of News Limited as an organisation, particularly what it prints in the Daily Telegraph, as an incitement to hatred, to racism, to fear,” he remarked. 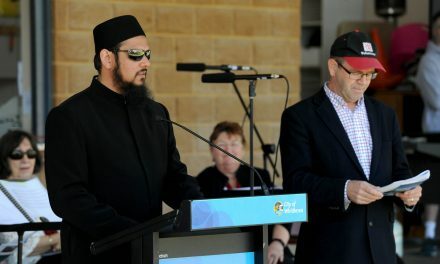 The three speakers were: Dr Mike Kelly, Labor Member for Eden-Monaro; Helen Watchirs, President and ACT Human Rights Commissioner; and Brice Hamack, President, the Islamophobia Register of Australia. Mohammed Ali informed during the discussion that Pauline Hanson, or her representative, was invited to the forum but she declined. Dr Kelly pointed out the role Muslims have played in the harmonious mixing of cultures in Australia as well as the pivotal role they have played in addressing violent extremism. “A lot of people know about the Afghan cameleers. Even through the White Australia policy there were Albanian Muslims coming here. We had the wonderful stories of the Turkish, Lebanese, Bosnian Muslims thats been a rainbow of contributions to this country,” he pointed out. He addressed how anti-Muslim sentiment has been used politically, referring to the Coalition’s strategy of using 9/11 and the Tampa crisis when it was down in the polls. Helen Watchirs defined terms such as prejudice and stigma. “Islamophobia is the irrational fear of Islam – irrationalism being at the heart of it,” she said. She pointed out that she is very grateful to those who report harassment or discrimination because then the Commission can do something about it, even if it is an apology or some form of redress. Brice Hamack made the point that it can be a “scary place out there for visibly practicing Muslims” such as women and girls who wear the hijab. He said that it is not enough for Muslims to fight just against Islamophobia but for all minorities. There was a vibrant discussion on the topic after the talks as dessert and tea were served.